Modified at any time: We may modify this Agreement from time to time at our discretion and without prior notice. Any modification of this Agreement will be posted on the Site. The modified Agreement will become effective upon such posting. Remember, your continued use of the Site after posting of the amended Agreement indicates your acceptance of and agreement to be bound by the amended Agreement. Questions regarding these terms should be sent via email. Uriel Renewables owns and retains all proprietary rights in the Site. Except for information which is in the public domain you may not copy, modify, publish, transmit, distribute, perform, display, or sell any such proprietary information. You are solely responsible for the content that you publish, display, or transmit within the Site. This includes, but is not limited to: photos, profiles, messages, notes, text, information, music, and videos (“Content”). You represent, warrant, and agree that no Content submitted by you or otherwise posted or shared by you through the Site will violate or infringe upon the rights of any third party, including copyright, trademark, privacy, publicity, or other personal or proprietary rights or contain libelous, defamatory, or otherwise unlawful material, or violate any other laws or regulations. You understand and agree that Uriel Renewables may, but is not obligated to, review and delete any Content that, in the sole judgment of Uriel Renewables, violates this Agreement or which might be offensive, illegal, or that might violate the rights, harm, or threaten the safety of Uriel Renewables or the public, without notice. Uriel Renewables assumes no responsibility for monitoring the Content posted on the Site. You retain all your rights, if any, in Content you post. However, by posting Content to the Site, you automatically grant, and you represent and warrant that you have the right to grant, to Uriel Renewables (and our successors) an irrevocable, perpetual, non-exclusive, assignable, royalty free, worldwide license to use, copy, perform, display, distribute, and to prepare derivative works of such Content and to grant and authorize sublicenses of the foregoing. Please send your notification to the attention of Uriel Renewables’s Designated Copyright Agent to receive notification of infringement claims at: Uriel Renewables, Inc.
Any links included within the Site taking users out of the Site are not owned by or under the control of Uriel Renewables. Uriel Renewables assumes no responsibility for the content, privacy policies, or practices of any third party website. Use of such third party sites shall be at your own risk and is subject to the policies and procedures of the owner of such site. We encourage you to read those policies and know your rights. Uriel Renewables shall not be liable for your interactions with any organizations and/or individuals found on or through the Site. This includes, but is not limited to, payment and delivery of goods and services, and any other terms, conditions, warranties, or representations associated with such dealings. These dealings are your responsibility and are solely between you and such organizations and/or individuals. You agree that Uriel Renewables is not responsible for any damage or loss incurred as a result of any such dealings.  Uriel Renewables is under no obligation to become involved in disputes between participants on the Site or between participants on the Site and any third party. In the event of a dispute, you release Uriel Renewables, our officers, employees, agents, and successors in rights from claims, damages, and demands of every kind, known or unknown, suspected or unsuspected, disclosed or undisclosed, arising out of or in any way related to such disputes and our Site. Uriel Renewables is not responsible or liable in any manner for any Content posted on the Site. THE SITE IS PROVIDED “AS IS” AND URIEL WIND EXPRESSLY DISCLAIMS ALL REPRESENTATIONS AND WARRANTIES, WHETHER EXPRESS OR IMPLIED, INCLUDING WITHOUT LIMITATION ANY WARRANTY OF FITNESS FOR A PARTICULAR PURPOSE OR NON-INFRINGEMENT. URIEL WIND CANNOT GUARANTEE AND DOES NOT PROMISE ANY SPECIFIC RESULTS FROM USE OF THE SITE. The Site may be temporarily unavailable from time to time for maintenance or other reasons. No advice or information, whether oral or written, obtained by user from Uriel Renewables or through or from the Site shall create any warranty not expressly stated herein. EXCEPT IN JURISDICTIONS WHERE SUCH PROVISIONS ARE RESTRICTED, IN NO EVENT WILL URIEL WIND OR ANY OF OUR CORPORATE PARENTS, SUBSIDIARIES, OFFICERS, DIRECTORS, AGENTS, AFFILIATES, EMPLOYEES, OR AGENTS BE LIABLE TO YOU OR ANY THIRD PERSON FOR ANY INDIRECT, CONSEQUENTIAL, EXEMPLARY, INCIDENTAL, SPECIAL, OR PUNITIVE DAMAGES, INCLUDING ALSO LOST PROFITS AND LOST DATA ARISING FROM YOUR USE OF THE SITE OR ANY CONTENT OR OTHER MATERIALS ACCESSED THROUGH THE SITE, EVEN IF URIEL WIND HAS BEEN ADVISED OF THE POSSIBILITY OF SUCH DAMAGES. NOTWITHSTANDING ANYTHING TO THE CONTRARY CONTAINED HEREIN, URIEL WIND’S LIABILITY TO YOU FOR ANY CAUSE WHATSOEVER, AND REGARDLESS OF THE FORM OF THE ACTION, WILL AT ALL TIMES BE LIMITED TO THE AMOUNT PAID, IF ANY, BY YOU TO URIEL WIND FOR ACCESS TO THE SITE. Any dispute about or involving this Agreement or the Site, between you and Uriel Renewables, will be governed by the laws of the State of Wisconsin without regard to its conflict of law rules. You agree to the exclusive jurisdiction and venue of the Wisconsin state courts in and for Ozaukee County, Wisconsin, and the Federal Courts in and for the Southern District of Wisconsin. You agree to defend, indemnify, and hold harmless Uriel Renewables, our corporate parents and subsidiaries, officers, directors, employees, and agents with respect to any and all costs, claims, demands, investigations, liabilities, losses, damages, judgments, settlements, and expenses. This includes attorneys’ fees arising out of or in connection with any Content, your use of the Uriel Renewables Site, your conduct in connection with the Site, or any breach of this Agreement. Notwithstanding the foregoing, Uriel Renewables retains the exclusive right to settle, compromise, and pay any and all claims, demands, proceedings, suits, actions, or causes of actions which are brought against Uriel Renewables herein under the terms and provisions of this Section. In no event shall you settle any such claim without Uriel Renewables’s prior written approval. The terms and provisions of this Agreement shall not be interpreted as creating an agency, partnership, joint venture, employee-employer, or franchisor-franchisee relationship between Uriel Renewables and any Site user. This Agreement contains the entire agreement between you and Uriel Renewables regarding the use of the Site. The failure of Uriel Renewables to exercise or enforce any right or provision of this Agreement shall not constitute a waiver of such right or provision. If any provision of this Agreement is held invalid, the remainder of this Agreement shall continue in full force and effect. The section titles in this Agreement are for convenience only and have no legal or contractual effect. This Agreement, and any rights and licenses granted hereunder, may not be transferred or assigned by you, but may be assigned by Uriel Renewables without restriction.